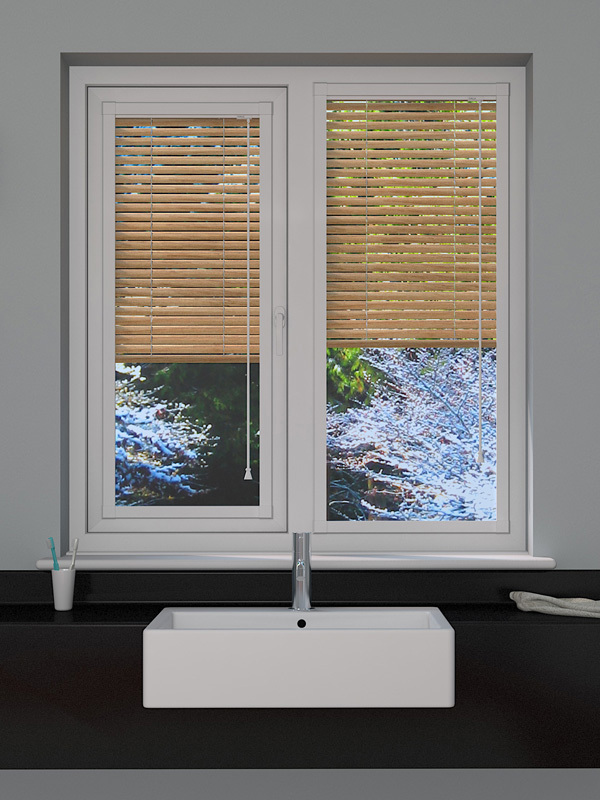 Fully made to measure, this striking venetian blind will fit your pane of glass perfectly, with hard-wearing aluminium slats and co-ordinated fixings. With reddish brown cedar wood effect slats, your home will feel both warm and inviting. 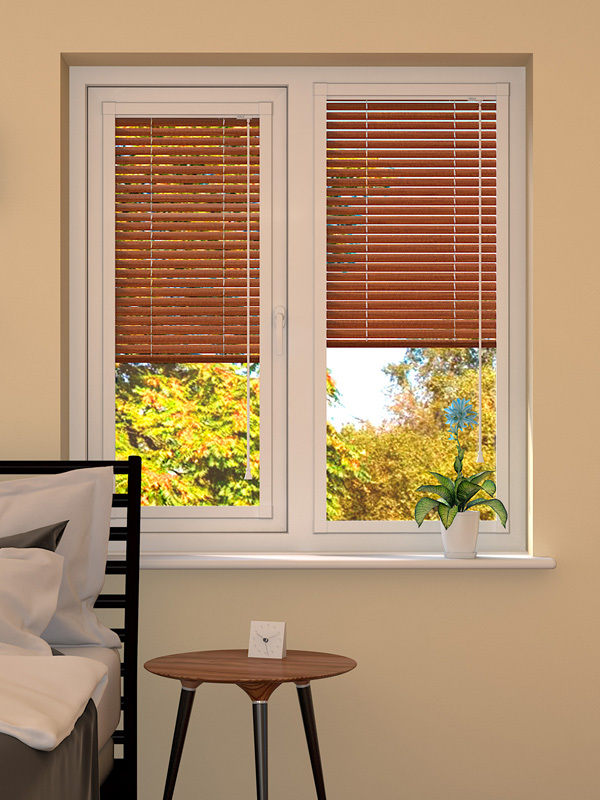 The blind features an unobtrusive wand style tilt mechanism and comes with a simple fixing kit and colour matching top and bottom rails, for outstanding co-ordination. What's more, the blind meets all relevant British safety standards. 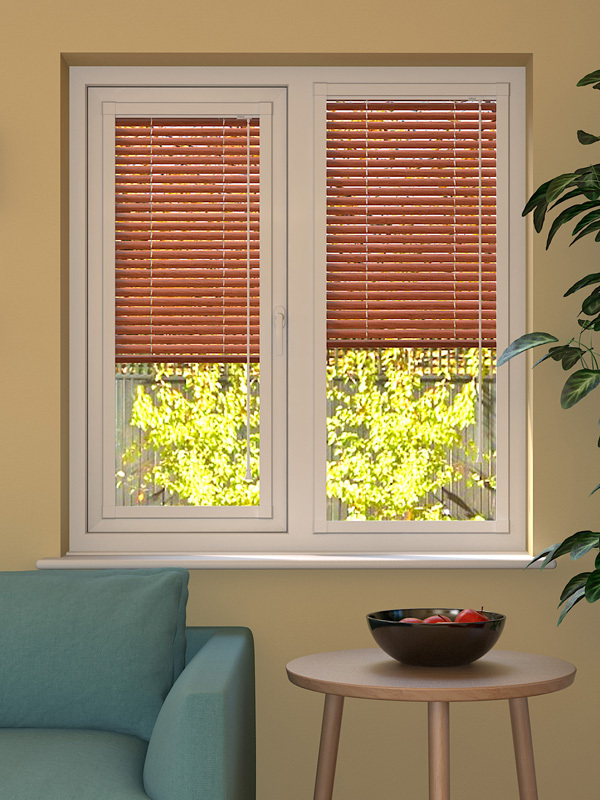 With the ability to secure the opening and closing cord at the recommended height of 1.5m, it is child safe.